Taking Care of Drivers & Patients is our number 1 priority. 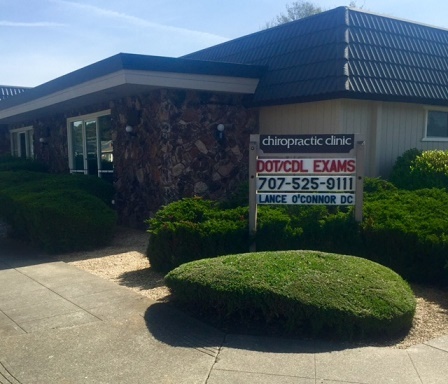 Lance A. O’Connor, DC, CME has been practicing chiropractic in the Santa Rosa area since 1994. Pass Your CDL Physical Exam! Dr. O’Connor knows how important it is that you continue your livelihood as a commercial driver. With his extensive knowledge of the DOT Physical Exam medical guidelines, Dr. O’Connor will steer you through the DOT Physical Exam requirements so you can Keep on Truckin’. Looking for a DOT Physical Exam or CDL Physical Exam in Santa Rosa, CA? You’ve come to the right place! Want to save even more time? You can save even more time by downloading the CDL Physical Exam report form by clicking the link below. Filling it out the form before your appointment will help us get your DOT Physical Exam completed quickly. Tues,, Thurs, Sat: By Appt. Conveniently located off of Highway 101 and Highway 12 at the south end of Santa Rosa. From 101 North, take Hwy 12 East, take the S. E Street exit and turn left onto E. Street. Drive approximately 3 blocks, turn right onto Vallejo St. Clinic is located on the corner of S. E St and Vallejo St.
Dr. Lance O'Connor is a Certified Medical Examiner in the National Registry. Dr. O'Connor graduated from Palmer Chiropractic College-West in 1992 and became a Certified Medical Examiner and a Certified Urine Collector in 2014. 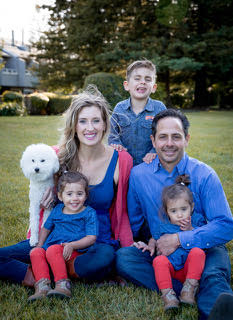 He is happily married to Ashley Bello and a proud father of a son and identical twin girls. When not treating patients, performing physicals, or chasing his kids around, he enjoys playing a round of golf or racquetball.